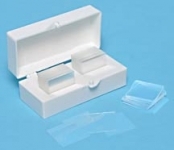 Description: Organize, display and transport microscope slides.Includes ten 8.5 x 10.5 in. 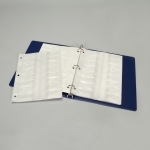 vinyl microscope slide holder pages. 16 Slides 25 x 75mm (1 x 3 in.) are held in separate pockets on every.